Sugo Music offers complete and innovative music distribution packages to musicians all over the world. We are the largest global music distribution network of retailers, broadcasters which comprise of talented and skilled artists who provide effective all-in-one music distribution portfolio from which you can easily select any of the services that you needed without any submission or set-up costs.We distribute, manufacture and sell all types of music media whether it is digital, CDs, cassette etc. and gives our clients premium service at the uncompromising quality. We are one of the leading DVD Manufacturing Companies that transfer your great music and videos into retail-ready CDs and DVDs. Our services remove all the risks involved in the short run CD and DVD manufacturing which can save your lot of money and handle all the multi-track CD and DVD right from pressing to delivery. Our DVD manufacturing, printing and distribution service is a great way to increase sales revenue while giving customer satisfaction. We have developed a Video Monetization network which is one of the largest in the world by managing hundreds of video channels within the internet, YouTube and other social media sites. With the help of latest technology, we optimized the monetization process that helps our clients in procuring the highest possible revenue cost. 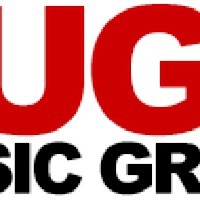 Sugo Music Group can add a considerate amount to your royalty checks by the direct advertising sales and trafficking expertise for your videos even if they are made in the home or are slideshows. Our video distribution services can enhance your portfolio and help you in generating more revenue streams. Album Compilation is the most effective way to promote your music and increase digital music distribution. We do album compilation by collecting the songs according to a common characteristic like popularity, genre, source etc. and provide a pathway for our clients to discover the work of new and established artists.